Our next stop was at Dormans, which describes itself as a historical town and centre for rural tourism. The riverside campsite with heated swimming pool and children's play area was certainly proving a hit, even though the weather had turned more variable. 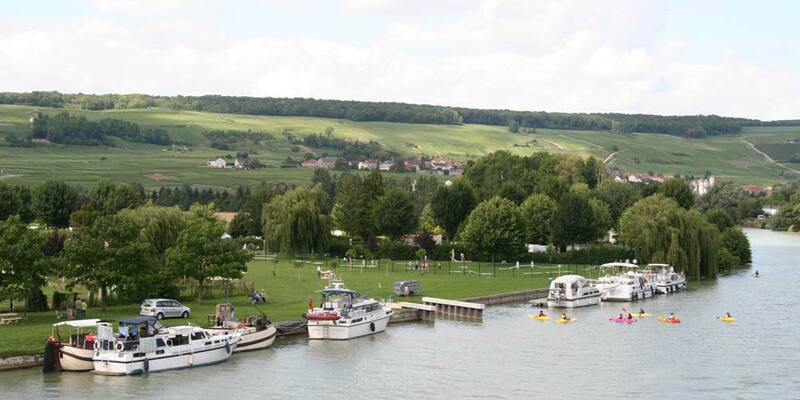 This is another stop where the mooring facilities have been updated with space for three boats on a new pontoon. Immediately downstream, the original halte still has four functioning electricity points, although with depth of a scant metre by the quay the neighbouring barge had opted to moor poled out from the bank, whilst we used a short landing stage to keep the stern in deeper water. Across the river the town has a good selection of shops, including fishing and cycle shops, which we would have greatly enjoyed visiting had they not been closed. 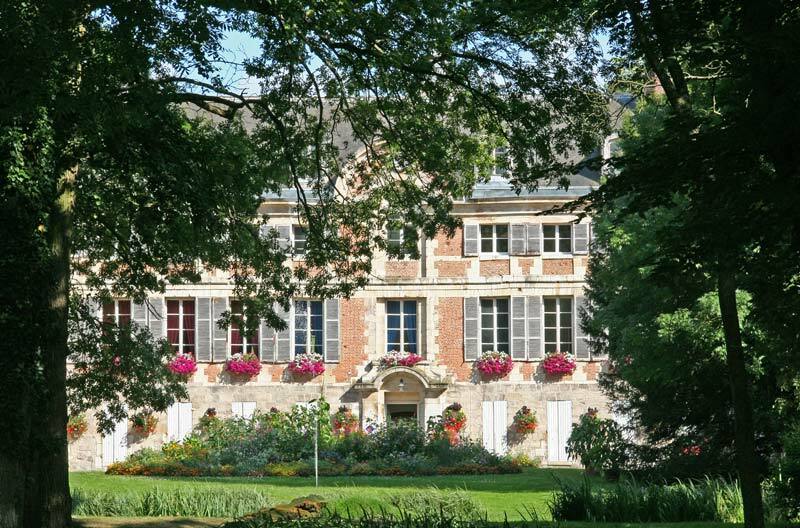 The original chateau was home to Champagne nobility in the 10th century - today it houses the Tourist Office, and the extensive grounds are open to the public and include a small Musee du Champagne. 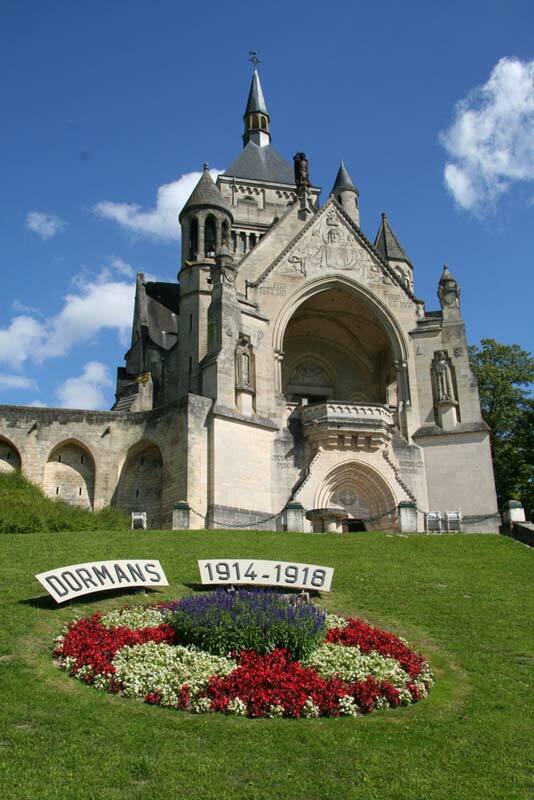 Dormans is centrally located between the two major Battles of the Marne and was chosen by Field Marshall Foch as the site of one of four national monuments to the Great War. The double layer chapel contains the names of the fallen, and the surrounding ossuary the unidentified remains of some 1500 combatants. If you still have the energy after the steep walk up to the chapel, a further 105 steps take you to the ramparts, which offer a panoramic view of the Marne valley. A series ofcommemorative events have been organised for 2007/8, on the occasions of the 90th anniversary of the battles in this area, which walk in the footsteps of the troops and remember the events which led to the end of the Great War.